Writing a teacher application letter, also know as a teacher cover letter, is vital, it is the first document a hiring administrator reviews. It will prompt them to either move on to your teacher resume to learn more or immediately place your teaching job application in the discard pile. Even if you are not a teacher, these teacher application letter writing tips and strategies will help you immensely. If you think you don’t need a cover letter for a new teaching job, think again. You do! Writing a teacher application letter is your opportunity to make a good first impression, so you need to do it right! 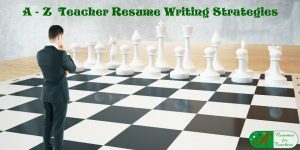 It is essential your cover letter for a teaching position is tailored to the position and school district where you are submitting your application. The only time it is acceptable to present a generic letter is when you have come across a job posting at the very last minute and are rushed to send off your job application documents. Very last moment meaning just that – you only have one minute to submit. Otherwise, don’t send it as a generic letter. Being proactive in your education job search will solve this problem. It is a good idea to keep an excellent generic cover letter on hand, just in case – it is better to apply for the job, than not at all. 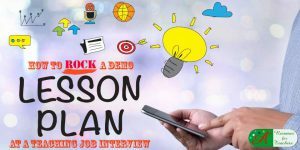 In most cases, you will have plenty of time to create a targeted application letter. Have a generic application letter written to show your passion and is unique to what you have to offer a school district ready to go. By having a solid letter available, it will be easier to fine-tune it to meet the school districts’ needs. A tailored teacher application letter should be focused on the desired instructional open position. It will directly relate to the job posting, incorporate relevant keywords, and targeted toward the needs of the school district. Make sure you research the school district before you begin writing your letter. If it is a school or district that caters to an inner-city population, you will want to use examples and descriptors that are relevant to teaching those students. The same can be said for an ESL population, students with special needs, or a higher-functioning group. For instance, say you are a middle school social studies teacher. 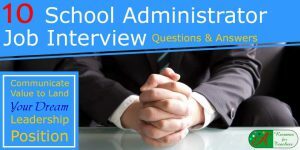 Your application letter will change depending on whether the school is public or private, urban or suburban, a long-term substitute or full-time position, or a grade 6 versus a grade 8 classroom. Do you get the picture? Even though your skills, experiences, and knowledge remain the same, the aspects that you will highlight in your application letter will change. Adapt your cover letter accordingly to ensure your application documents are given the time and attention they deserve. Instead of: I designed fun lesson plans to interest students. Use: Designing creative and exciting lesson plans to spark student interest is just one of my strengths. Instead of: I used books and technology to differentiate instruction. Use: In the classroom, I enjoy integrating age-appropriate literature and innovative technology to differentiate instruction and facilitate all types of learners. Instead of: I maintained a well-behaved class at all times. 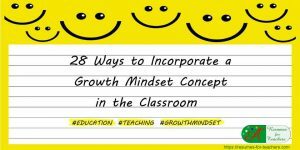 Use: Cultivating a solid rapport with students and implementing positive reinforcement to keep a focused and well-behaved class at all times is one of my successes. Instead of: I boosted student reading levels by one level. Use: By incorporating read alouds, hands-on activities, and literature-based thematic units, I was able to raise student reading levels by one level, while instilling a passion for reading. Do you see how the “improved” sentences grab your attention and demonstrate how the writer is an experienced and accomplished teacher? These examples show how you will want to highlight your teaching accomplishments, teaching style, and value as an educator in your application letter. 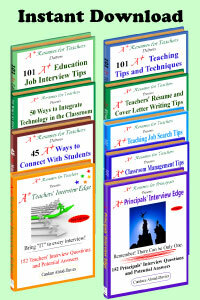 Include action words in education resumes and cover letter to generate reader’s interest. No matter how long you have been teaching, you are bound to have several academic achievements to include in your academic resume and cover letter. 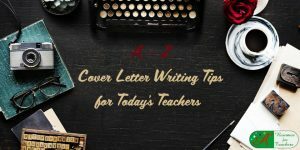 Including results to achieve at former positions or college assignments in a cover letter for a new teacher is easily doable, don’t think it isn’t. Have I increased student participation levels? Have I decreased student absenteeism? How were students performing by the end of the school year, as opposed to the start of the school year? How does my 4th-grade class stack up against the others in the school? What about in the district or state? Have I won any awards that would be worth mentioning? 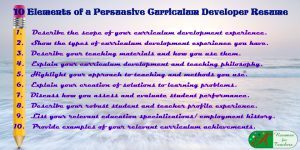 Have I pioneered any new teaching techniques or instructional programs that have proven to be successful? When developing the teaching accomplishments for your cover letter, use as many facts and figures as possible to demonstrate your aptitude and skill sets concretely. It is also great if you can highlight accomplishments that are different than in your resume. When writing your cover letter, you do not want to rehash and copy your resume. So, either re-word your accomplishments or use different accomplishments in your cover letter to avoid being redundant. Also, make sure that the achievements you choose to include in your cover letter are relevant and important to the position. You can change up the accomplishments you highlight depending on the teaching position of interest. We have an excellent post on finding education accomplishments to write a credible resume. Your teaching cover letter for a new position as a first-year teacher is your chance to make your personality shine for potential schools. The worst thing you can communicate in your teaching application letter is you are boring. Make the words come alive. If you come across as humdrum or lackluster, you can bet whoever is reading your letter will think the same, and your application will go in the “No” pile. Remember, this letter will be a school’s first impression of you. You want to ensure it is a positive one! It is also good to bear in mind that your resume is meant to be purely professional with a very rigid format and structure. Your cover letter for a new teaching job, on the other hand, is your chance to introduce yourself, your personality, your teaching style, and your passion for teaching. To avoid or fix the second cover letter writing mistake listed above, use action words and engaging descriptors when writing about yourself. You want to communicate passion, enthusiasm, and drive in your cover letter. Show the reader you are excited to be applying for the teaching position with their school or school district, and that you are committed to giving it your absolute all! 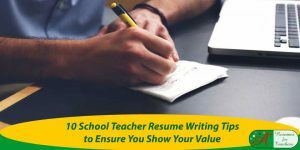 You need to be able to show that you are a successful and talented educator in an engaging way that makes the person reading your cover letter want to learn more about you by continuing to your resume. Review more teaching cover letter writing tips with examples to gather further in-depth information and ideas. A sign of a good teacher is attention to detail. If you address your instructional cover letter to the wrong person, you have already earned yourself strike one. Usually, at the bottom of the job advertisement, you will find contact details for the person in charge of hiring. Include the person’s name, his or her title, the school or district, and full address at the top of your application letter. If you cannot find the name of a contact person, call the district’s head office to see. Not only is this professional and the polite thing to do, but it will also ensure that your application ends up in the right person’s hands. Submitting a cover letter for a new teaching job which contains spelling or grammatical errors will make the interviewer think you didn’t care enough to proofread your letter before sending. Even if you think you are good at writing and have few or no mistakes, always have your letter proofread. Someone else may see errors that you didn’t notice. Don’t use large or unusual words in your teaching application letter. Keep it plain, simple and to the point. The easier they can read your letter, the better chance you have against the competition. So, when writing your next teacher application letter, remember always appropriately to target your letter to the job posting, incorporate action verbs and your teaching accomplishments, including your personality and passion for teaching, properly address your letter to the hiring authority, and always, always, proofread! 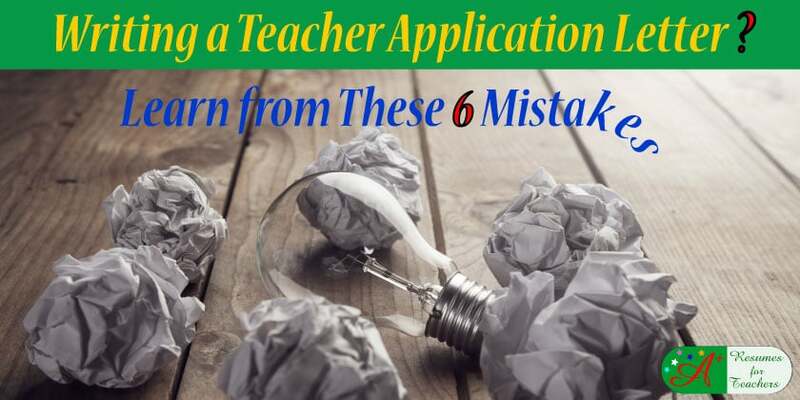 By avoiding these six teacher application letter writing mistakes, you will be on your way to securing more teaching job interviews and more job offers. If you’d like to see some examples of teacher application letters, the sample cover letters on our website will show you examples of the work we produce. You can also contact us to help you write a strong application letter for your dream teaching or any other education position of interest. Analyze the vast career services we offer. 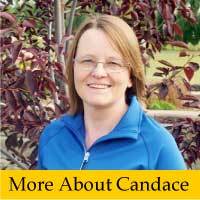 Contact Candace Alstad-Davies directly either by email or toll-free: 1-877-738-8052.